An industry insider wrote in Forbes that the tech giant would slash 111,000 jobs. The IT industry has changed dramatically in the last few years. Where once hardware was king, cloud computing and software as a service (SaaS) have challenged the business models of the IT giants. One of the casualties of this dramatic shift looks likely to be a significant chunk of IBM’s workforce. IBM confirmed this afternoon that there will be ‘several thousands’ of layoffs but denied the cuts would be anything like the scale reported. ‘IBM does not comment on rumours, even ridiculous or baseless ones,’ a spokesperson said in a particularly shirty statement. The statement added that IBM hired 45,000 people last year and currently has around 15,000 openings in areas such as cloud, analytics, security and social and mobile tech. The company is clearly pulling no punches over its shift towards software. It would appear the original rumour has been debunked but it’s easy to see where it came from. 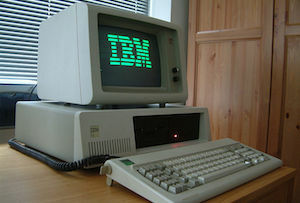 IBM has a long and illustrious history and is one of the largest private sector employers in the world, with more than 430,000 staff. But last week it posted its 11th consecutive quarter of revenue decline, which was down 12 per cent to $24.1bn. Profits slid 11% to $5.48bn. Job losses at the firm’s UK sites have already been reported – on January 6th IBM confirmed that talks about ‘rebalancing its workforce’ in the UK were underway, after the Greenock Telegraph reported that 1,000 jobs were under threat. That's some 'rebalancing'.